Synthesizers get a bum rap. Much of the hatred for the instrument and the sounds it produces is anchored in perceived artifice: how good can it be if doesn’t sound like the real thing? 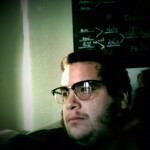 Alan Palomo has an answer: quite. 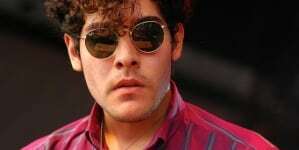 Having previously produced synth-pop under the name VEGA, Palomo has focused his efforts on creating an audio-visual experience with Neon Indian, his latest alias. Enlisting the help of artist Alicia Scardetta, Neon Indian has a decidedly grimier sound than the synth-pop gloss of VEGA, and Psychic Chasms, their debut LP, strikes a keen balance between the antiquities of the technology and the more modern compositional structure, and in such creates a distinct and notable middle ground. 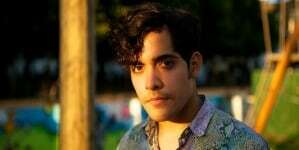 Neon Indian has been building buzz in the indie community with their strong avoidance of publicity, which is further inflamed by their singles, which have been fawned over by blogs all summer long. 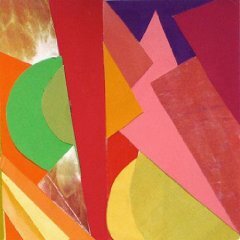 “Should Have Taken Acid With You” exemplifies the Neon Indian sound; synths hold the piece together as fuzzed-out vocals come and go, while the whole thing sounds like it was recorded under noisy fluorescent lights inside a buzzing beehive. Palomo laments a missed opportunity for psychedelic connections, and the layered synthesizers interlope and create a lightly haunting tapestry that manages to overcome its mechanical roots. First single “Deadbeat Summer” combines delightful, chanting vocals with static-fueled guitars, which all get brought to the front and pushed back by a syrupy synth line that organically wraps itself around lilting vocals. The song has a playful atmosphere about it and the crackly, distorted guitar riff acts as a fascinating punctuation to the thick backing track. “Psychic Chasms” is an arena-rock sounding bombast led by arresting keyboard and synth duels that give way to space age vamps. Psychic Chasms is a very evocative album, with the music painting images and portraits that the live show is suggested to echo. “Local Joke” rips open with a Killers-esque attack line, and as the vocals kick in, they act like the smoke that fills the stage as the synthesizers fire off like lasers. The hi-hats thrown in for balance link together the stanzas, and the muted kick-drum tempo keep the music moving, like a well-timed performance piece. “Mind, Drips” starts off with a more up-tempo sound, and as the 808 beats kick in, the keyboard pattern acts like a light-up walkway, guiding the percussive elements around Palomo’s vocals, as the elements bubble and fizz, creating a sonic blend that opens up for interpretation. It is one of the most visually-minded songs on the album, and one of the tracks guaranteed to demand closed-eye listening. “Ephemeral Artery” is one of the bolder songs on the album, going in for the kill. All the restraint that was accumulated across the album is unleashed, with pounding bass synths colliding with drums, giving way to high pitched squeals; it’s a ferocious song that keeps in line with the rest of the album’s sound, through some careful distribution of instrumentation. 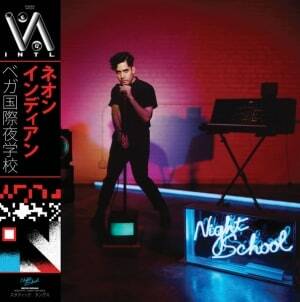 Like the name of the project suggests, Neon Indian is a bright and modern look at something with a more stoic tradition. The compositions Palomo has put together are more than the sum of their parts. While born from electronic instruments, the songs manage to sound organic and lively. Palomo’s ear for more traditional arrangements is evident, but he also has an understanding of the limitations of his equipment. Despite their recognizable artificial nature, the mixing manages to intentionally degrade the quality enough to make the synth lines feel like another instrument, and the combination of the downplayed electronics and the traditional arranging create a striking, individual sound. Virtually everything on VEGA INTL. sounds more enhanced. One of my friends claims that people in Portland don’t like to dance.